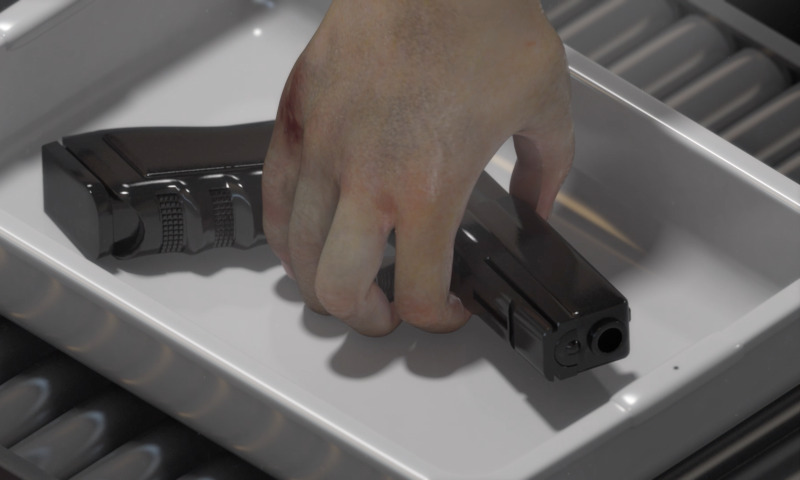 Ed Atkins, Safe Conduct, 2016. Three channel HD video with 5.1 surround sound, 9:05 min., loop, video still. Atkins’ works are steeped in sentimentality. Sadness, beauty and transformation occur with the speed of paranoiac thought. Striking images, familiar musical phrases or poignant pleas are cut, ruined or denied at the last minute. Traces of profound affection and interrupted empathy linger. It is such sensation that makes Atkins' works so striking; an artificial realism and romantic lushness that models feelings often inexpressible in real life. Atkins will present a slice of new and recent works for Bregenz, including Old FoodOld Food Old FoodOld FoodOld FoodOld FoodOld Food, a body of works that expands with each iteration. Here, Atkins transports us to a pseudo-historic world of peasantry, bucolic landscapes and eternal ruin. Characters weep continuously, their lives devoid of dramatic redemption; a looping piano motif haunts the space; crowds of people plummet while credits roll; and inedible, impossible sandwiches assemble and collapse in lurid advertisements. Produced exclusively using CGI (computer generated imagery), everything in Atkins’ exhibition is understood as fake – nostalgia, history, progress, authentic life, identity.